Dutton Recruitment is one of the UK's longest established and most successful recruitment groups. 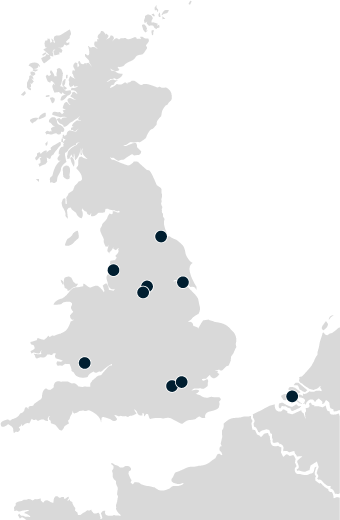 With offices nationwide, a brand new branch in Holland, and projects globally - We are Recruitment! Our scope of supply is maintained through eleven key operating divisions, each qualified to support their industry. Far from a, “generic recruiter,” we are at the forefront of personnel services throughout the industries we serve. Since our formation in 1982, Dutton Recruitment has grown into one of the UK’s leading providers of quality personnel to specific industries, ranging from Nursing & Medical, to Construction, to IT. With offices nationwide, and a brand new office in Holland, Dutton Recruitment has established an enviable reputation within the recruitment industry as an innovative company that specialises in providing a bespoke service to its clients, throughout the UK and worldwide.